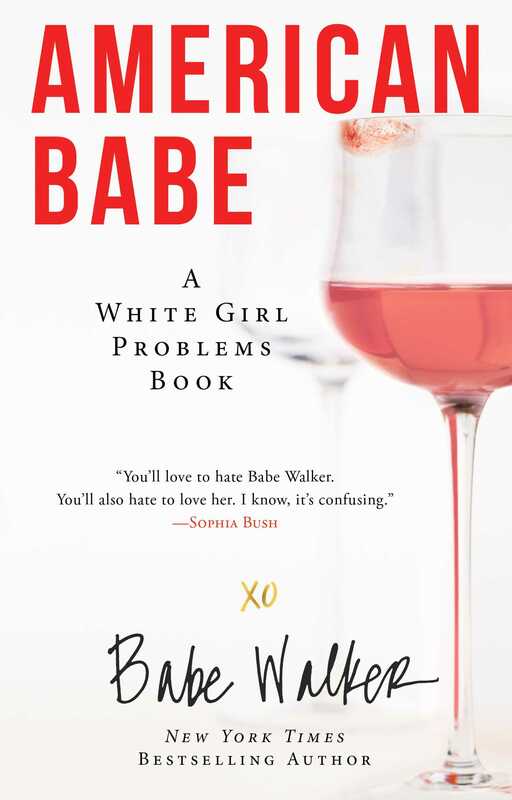 Author of the New York Times bestseller White Girl Problems and Psychos, Babe Walker, faces her most daunting challenge yet—suburbia—in the third caustically witty White Girl Problems book. Babe Walker thought she had done it all. After all, she’s survived the highly exclusive social hierarchies of Bel Air, traipsed around Europe in true white-girl fashion, and left her mark on several of the best rehab facilities in the United States. But now Babe is about to enter a terrifying new world: Middle America. Besides being thin, of course. Hysterical, unapologetic, and as unfiltered as ever, Babe Walker proves again to be the “urban socialite you love to hate” (Time), and she can only hope the population is ready for American Babe. "You'll love to hate Babe Walker. You'll also hate to love her. I know, it's confusing." "Babe Walker makes me want to be a better person." "A book so full of toxicity that I needed to see a healer when I was finished."